Looking into wonderland: A special winter/ spring exhibition at Kirkcudbright Galleries. Home Arts Looking into wonderland: A special winter/ spring exhibition at Kirkcudbright Galleries. John Tenniel spent all his life in London where he worked as a political cartoonist for Punch magazine, but in 1864 he was approached by Lewis Carroll (an Oxford mathematics don whose real name was Charles Lutwidge Dodgson) with the request to illustrate a small nonsense book for children he wished to publish. The initial story had been made up by Dodgson for the daughters of the Dean of Christ Church College during a boating trip on 4 July 1862, and at the request of one of them, Alice Liddell, he wrote out the story of the little girl who dreamt (or did she ?) that she went down a rabbit hole into Wonderland where she met an amazing set of characters – the White Rabbit, the Mad Hatter, the March Hare, the King and Queen of Hearts, the Mock Turtle, the Cheshire Cat – and found herself in some awfully weird situations. 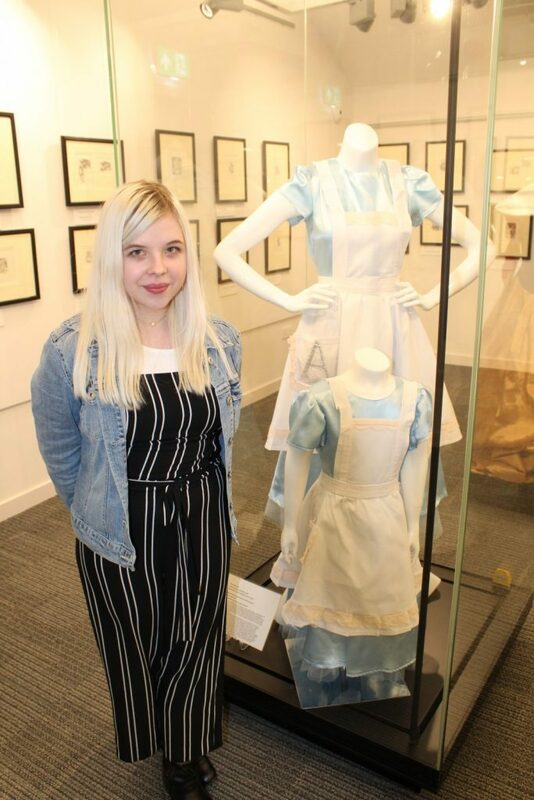 The story – published as Alice’s Adventures in Wonderland – was an instant hit with children and adults alike – as was the sequel Through the Looking-Glass and what Alice found there published seven years later. From the very start it was agreed that a major part of their success was due to the unique and imaginative illustrations supplied to the text by John Tenniel and despite there now being many hundreds of artists worldwide who have illustrated Alice, Tenniel’s illustrations remain the definitive ones. The exhibition on show at the Kirkcudbright Galleries is a selection of the best illustrations from both books (about half of the complete number) in which the creative genius of both Carroll and Tenniel is shown at its best. The original drawings were made on wooden blocks and then engraved by commercial engravers in London and the prints on show at the centre are perfect examples of the skill of both illustrator and engraver. The exhibition, LOOKING IN WONDERLAND, will be on show at Kirkcudbright Galleries, Stewartry Museum, St Mary Street, Kirkcudbright DG6 4AQ from Saturday 19th January – Sunday 24th March 2019.